Homeland has the frozen food Oklahoma customers need to make it through the week. Frozen Foods have come a long way in recent years due to advances in the freezing process. Food holds its flavor like never before. 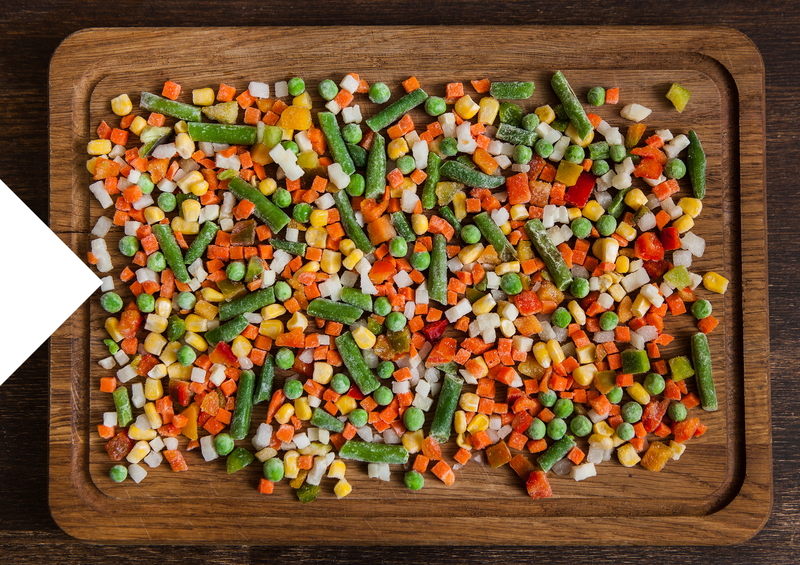 And frozen vegetables that are steamed have more nutrients and taste than canned veggies. In fact, your freezer can hold enough variety to get you through the whole day. Start your day with a breakfast burrito and juice, have a lunch entree in the middle of the day, and choose an easy heat & eat meal and vegetables for the family at night. (Frozen foods also make clean-up a breeze!) Our frozen food cases also have many great snack items that make great snacks easy for your kids to make. Many of them come in packages that allow you to fix just the amount you want so there isn't any waste. And of course, you'll find plenty of sweet surprises from ice cream, to pies, to novelties. Quality Brands that Stretch Your Dollar Further! Customers are telling us that their grocery budgets are tight these days. At Homeland, we simply won't compromise on quality, but we have found a way to offer the best prices on hundreds of grocery products you use every day. The Best Choice, Always Save, & Clearly Organic Brands are some of the best values you can find in your Homeland store. You'll find these three brands in virtually every aisle at your Homeland, offering you a low-priced alternative to other name brands. Best Choice, Always Save, and Clearly Organic Products are tested throughout the year to ensure that they live up to Homeland quality standards, so we're proud to offer them alongside other brands you love. We're proud to offer Best Choice Products to Homeland customers. The promise of the Best Choice brand is quality that meets or exceeds the quality of national brands, at a lower price. Best Choice products are found in virtually every department of your hometown Homeland store. Wondering if Best Choice Products will meet your expectations? We invite you to try them. Every Best Choice product is protected by the Homeland guarantee. If, for any reason, you are not satisfied with a Best Choice product, bring it back to your Homeland store and we will gladly provide a refund. If for any reason you are dissatisfied with an Always Save product, bring it back to Homeland and we'll make it right. That's the Homeland guarantee. If you're interested in organic products, but are concerned about the high cost of organic products offered in specialty stores, your hometown Homeland has a great option for you. Clearly Organic products are an inexpensive option for packaged organic foods that go perfectly with Homeland's fresh, organic produce selections. With Clearly Organic products, there is no need to travel across town to find high quality organic products. They're all here in your local Homeland store.